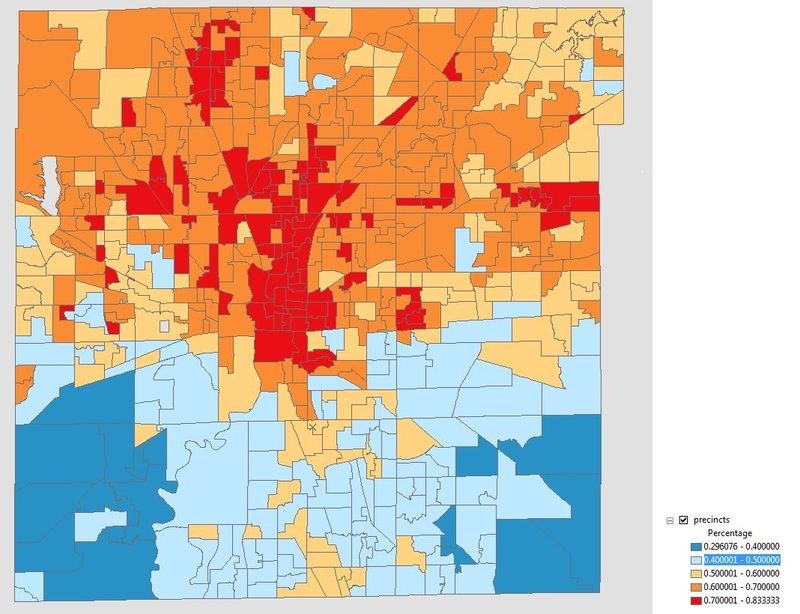 This is just a subset of who won in each precinct. There are also variations within each precinct that cut both ways. 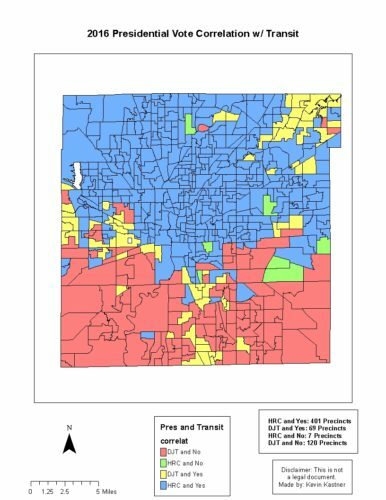 Anecdotally, I know of several Gary Johnson voters who were also transit voters. Cities contain multitudes. Thanks for doing the work to put this together. One of the most interesting things I find here is how stark the north-south split in the city is. When I was growing up, I remember people saying, “The South starts at 38th St.” Now I think it starts around Raymond St. The south starts at Washington St. and that’s been true for my (almost) four decades in Indy. 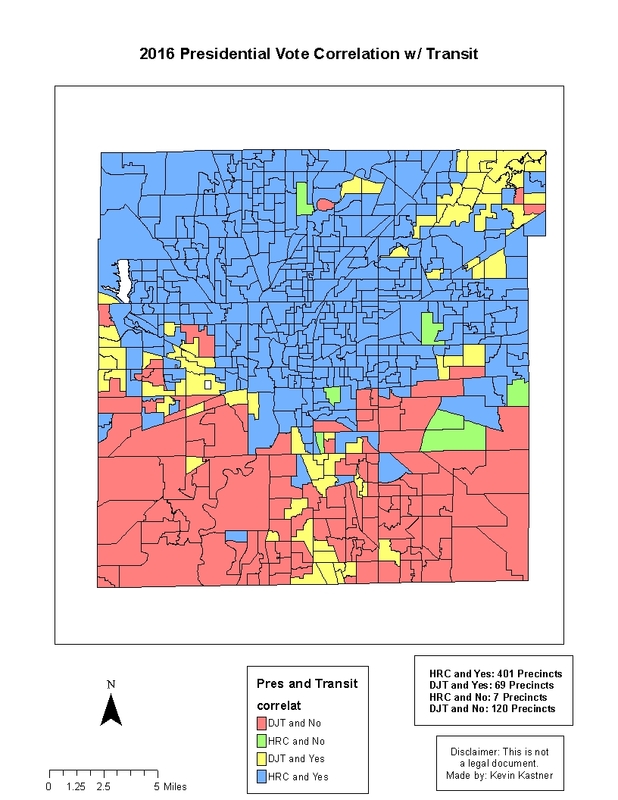 Here is my map of the actual transit vote, fwiw. Not surprised at all that Ravenswood voted for Trump.